Irritable Bowel Syndrome is usually the name given to any inflammatory bowel condition that seems to lack an obvious or consistent cause and which may come and go in severity. In all cases of IBS there will be some degree of damage to the gut lining, a change in the bugs growing in the gut and an increase in reactivity to food or food chemical types. The triggers for IBS may include weak digestion due to a lack of required nutrients, stress which takes the focus of the body away from digestion into survival mode, a microbial infection or the presence of foods or food chemicals which cause inflammation inside the bowel. Food intolerances often start or increase because the irritated bowel surface has become leaky, allowing undigested food particles to escape into the blood stream at a rate the liver can’t address. The primary focus for IBS is to reduce inflammation by removing the triggers (inflammatory foods, food chemicals and yeasts or bacteria), to strengthen the digestion and liver function, and to heal the bowel lining. We recommend getting our Food and Chemical Sensitivity Test done to help with identifying and then removing inflammatory foods and substances. In our experience this is essential when trying to resolve IBS. 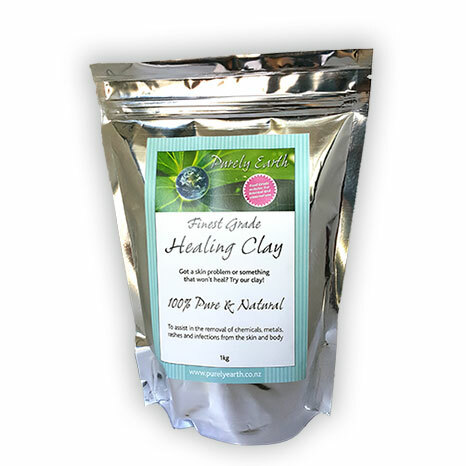 Use 1 tsp 1-2 x daily of runny Purely Earth clay internally away from food. To make the clay up, use our guide for internal use. 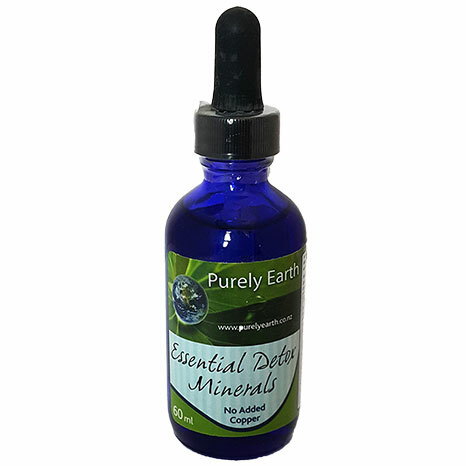 Use Purely Earth Essential Detox Minerals to provide the minerals required to support the digestive enzymes. They are a unique ionic mineral formulation that provides all of the most commonly deficient minerals required to run the digestive enzymes and liver enzymes in a highly bio-available form. Use 2 ml of the liquid per day for adults and 1 drop per kilo of body weight for children under 10. Put into water or diluted juice. Address any signs of weak digestion such as reflux, bloating, gas and indigestion. This is important and can be done by using Betaine HCL or 1 tsp of apple cider vinegar (ACV) in water before each meal and increases the uptake of minerals through the digestive system. For those with a history of ulcers or who are using antacid medications, we recommend an appointment with our practitioner Sarah before you try Betaine. People with a history if IBS usually have a disturbed gut flora and can have overgrowths of bacteria and yeasts present. We usually recommend a re balance and clean-up is done. Please ensure your bowel is moving every day before you start any of the following. Seek help from our practitioner Sarah or another experienced practitioner to get your bowel moving daily if necessary. Yeasts and some bacteria will form colonies in the bowel within a sugary film called a bio-film as part of their protection mechanism. Use Purely Earth Diatomaceous Earth by taking 1 generous tsp of powder mixed into water just before bed, preferably on an empty stomach. Diatomaceous Earth assists with breaking up the bio-films and is easy to use. Take away from the clay. Use Dr. Wilson’s Squeaky Clean to furnish the bowel with the right flora and to help sweep the surfaces of the gut clean. Take 1-2 caps 2 x daily with food and water. Once the above has been done for 2 weeks, fungal and yeast infections (if present) should be addressed systemically. This part of the process should be done under the supervision of an experienced practitioner. Use Dr. Wilson’s Inner Healing to seal up leaky gut. Take 1 cap 2 x daily for a good 6 months. Continue the Squeaky Clean at 1 cap 2 x daily with food. 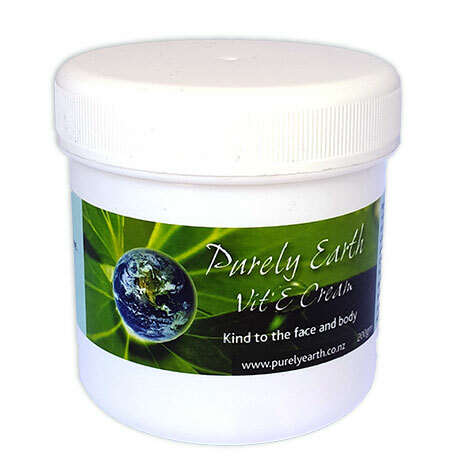 Maintain the Purely Earth Essential Detox Minerals at 2 ml daily. Chew your food well. Do NOT gobble-and-go! Maintain the Betaine if necessary. Eat lots of green and colourful vegetables and a good quality protein at least 2 times a day. We do not recommend protein-deficient diets because protein is an essential nutrient required for repair, digestion and detoxification. If you choose to go vegetarian, get some good advice about how to get adequate protein into your diet. The World Health Organisation Standard is 1 gm of protein value per kilo of body weight. This means a 60 kg person requires around 60 gm of protein value per day in their diet. A palm size piece of fish for example, contains around 25 gm of protein content and 100 gm of organic tofu contains 10 gm of protein value. Have a look at our Medicine Chest Smoothie recipe which is a great bowel healer. Take activated B vitamins to support digestive enzyme function. Reduce the amount of vegetable oil and saturated fat in your diet and increase foods that contain Omega 3 fats. When insufficient stomach acid and enzymes are produced, the minerals required for healthy digestion are not absorbed as well, food is not digested properly and can start to ferment and putrefy in the stomach and digestive tract. The resulting fermentation and putrefaction can cause symptoms such as food intolerances, indigestion, reflux, irritable bowel, bloating and gas due to an overgrowth of pathogenic bacteria and yeasts in the intestinal tract. These can then cause inflammatory responses, increased permeability of the intestinal walls and abnormal immune function which may then lead to a myriad of complaints including acne rosacea, hay fever, aches and pains, oestrogen dominant hormonal conditions such as fibroids and endometriosis, an overloaded detoxification system, food and chemical sensitivities, eczema, asthma, erratic bowel function, IBS, lowered immunity, yeast infections outside of the gastro-tract, mood imbalances, headaches, brain fog and fatigue.